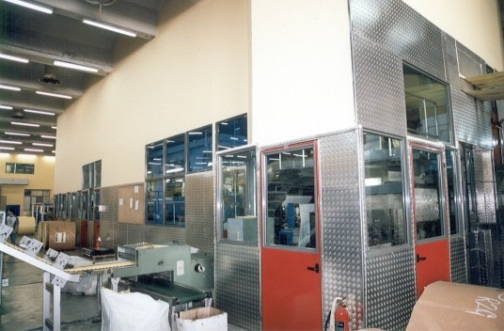 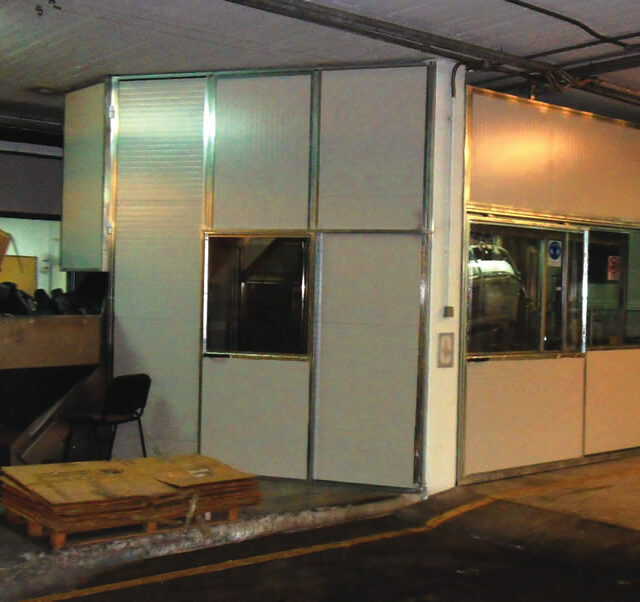 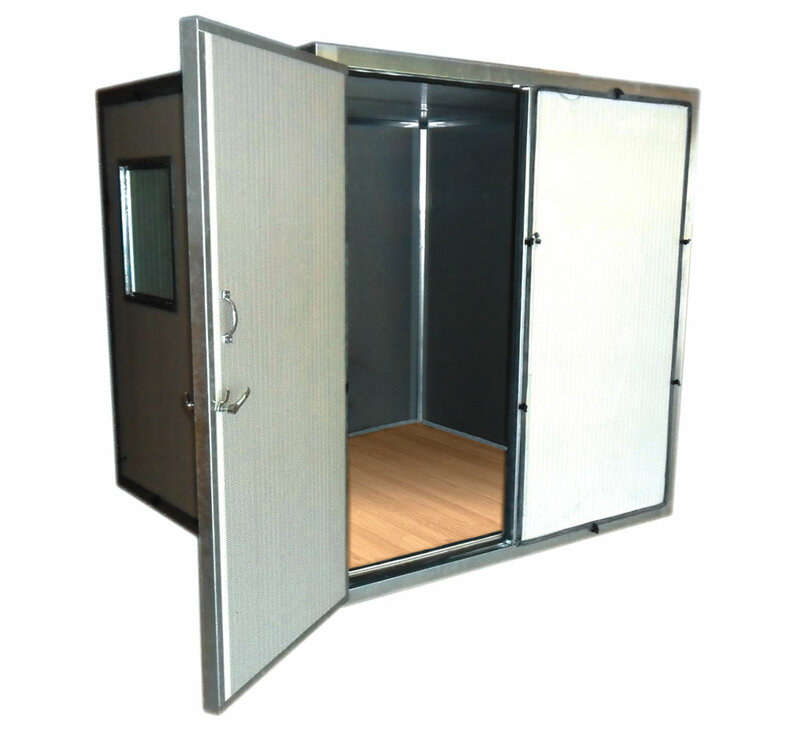 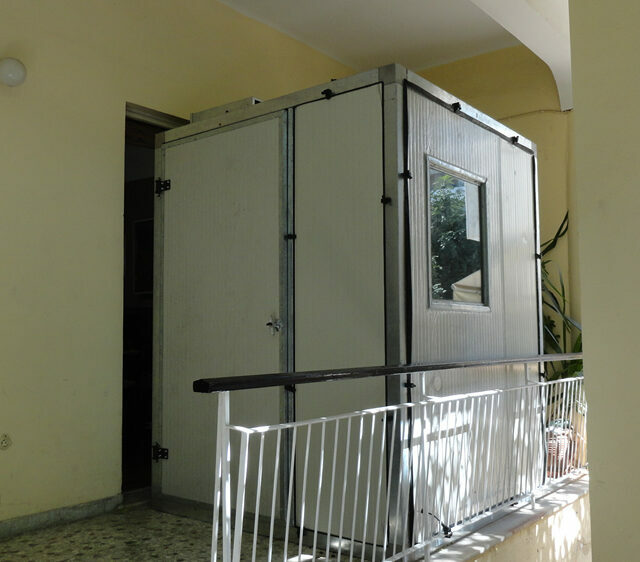 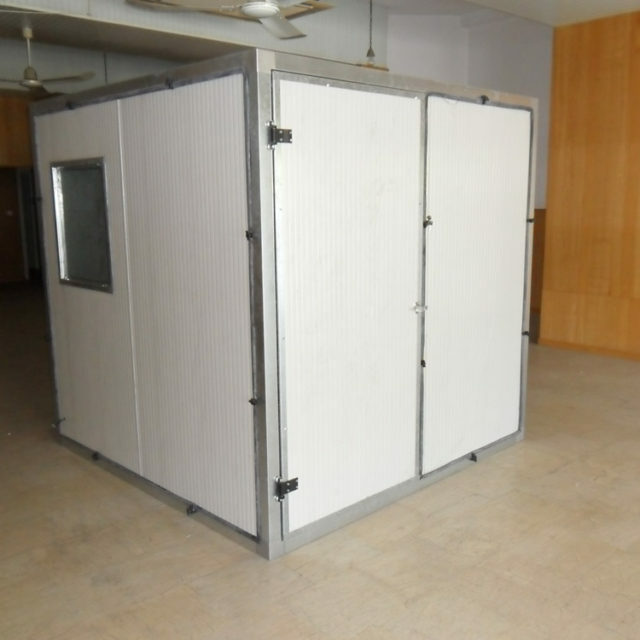 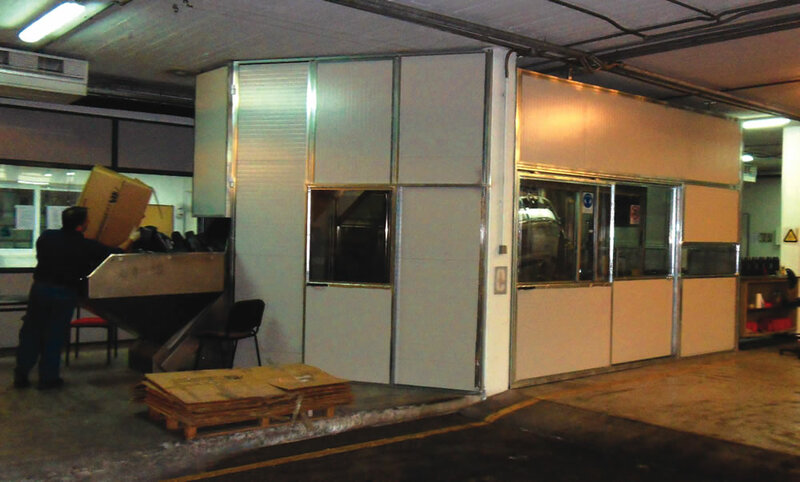 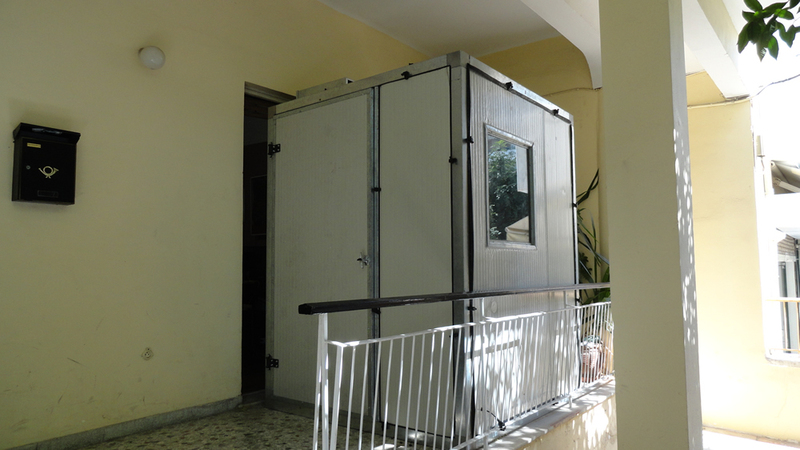 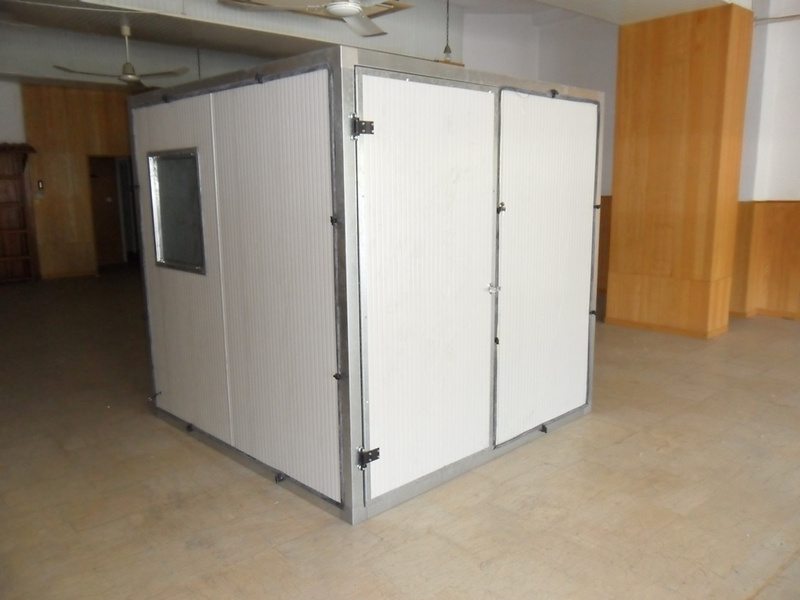 Sound insulation cabins ALPHAfon-CB offer a quiet environment in noisy industrial spaces. 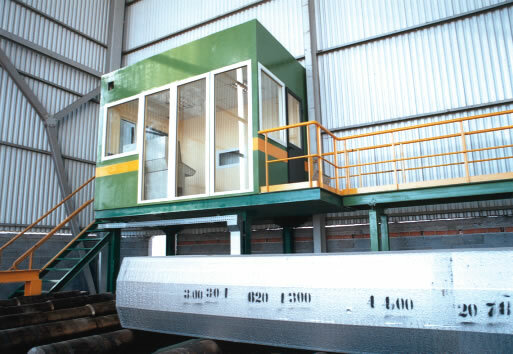 The major objective of the above product is to protect the receiver (worker) from noise, when noise insulation at the source and the path can not be applied. 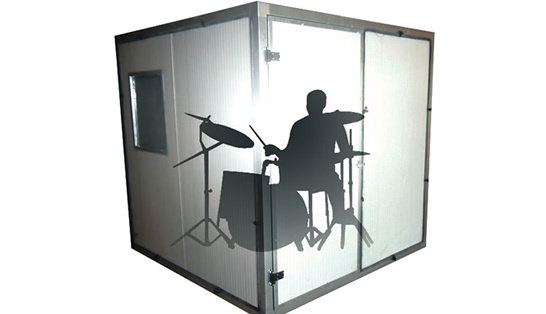 The internal side of sound insulation cabins ALPHAfon-CB are covered partially with special sound absorptive materials. 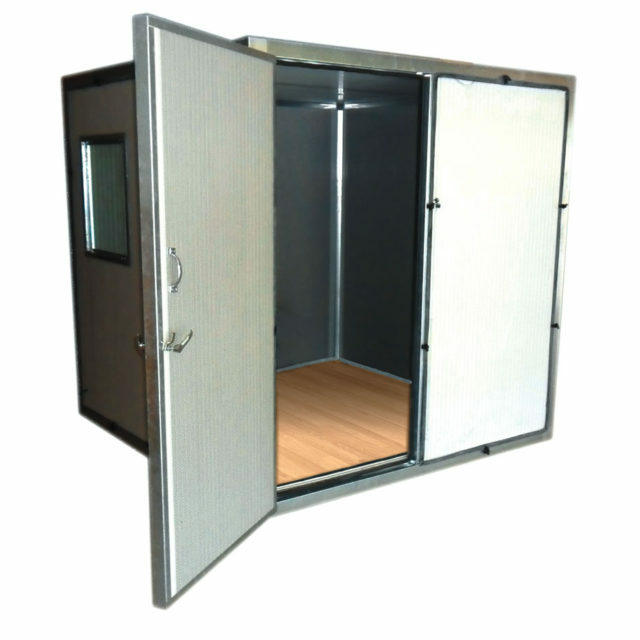 Therefore optimum acoustical environment is delivered in the cabin. 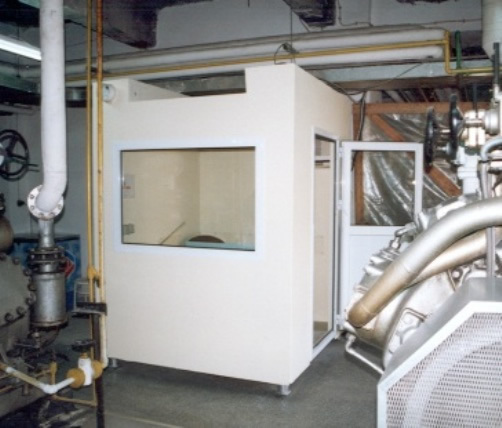 Noise insulation index for standard type is Rw= 25 dB. 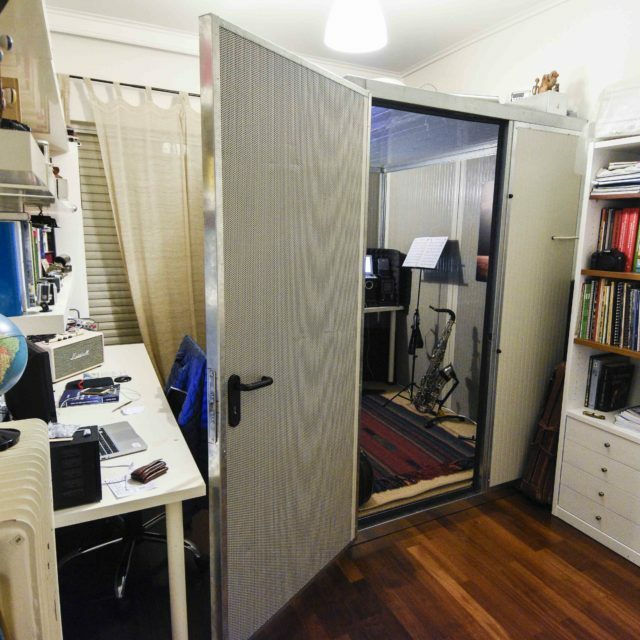 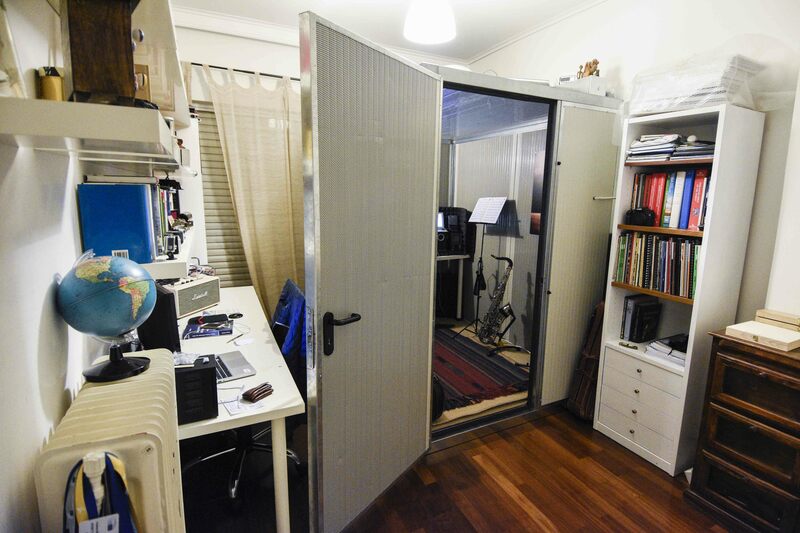 If greater sound insulation is required, customised types can be developed to cover all needs. 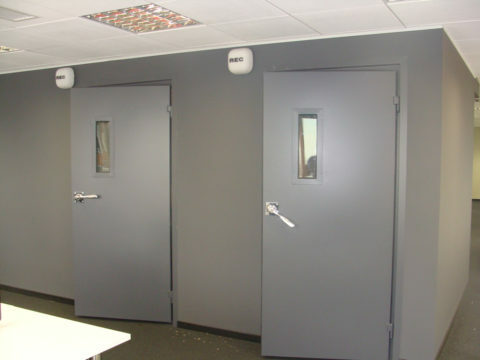 Windows (still or opening) for supervising and visual contact. 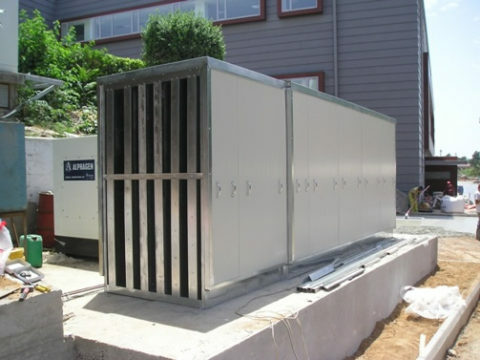 Ventilation with air inlet and outlet sound attenuators. 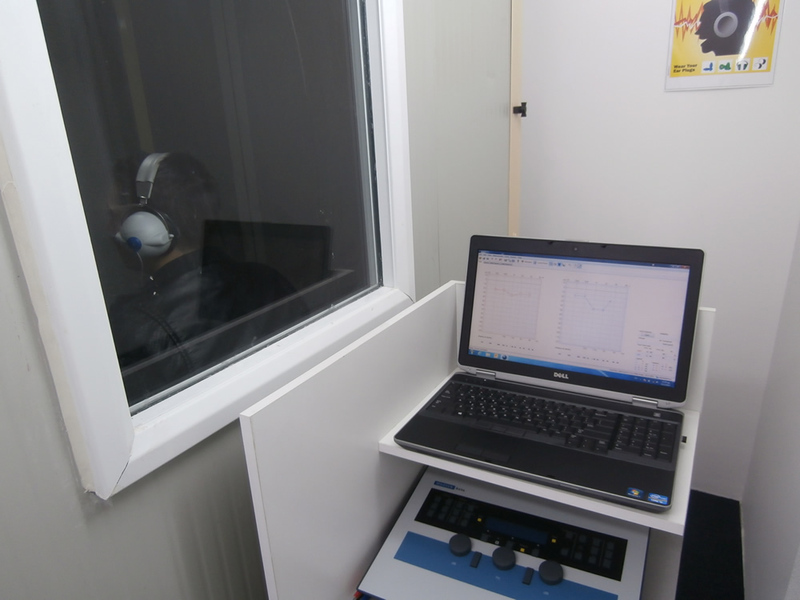 In order to make the appropriate selection, noise level measurements with frequency analysis of the area are suggested. 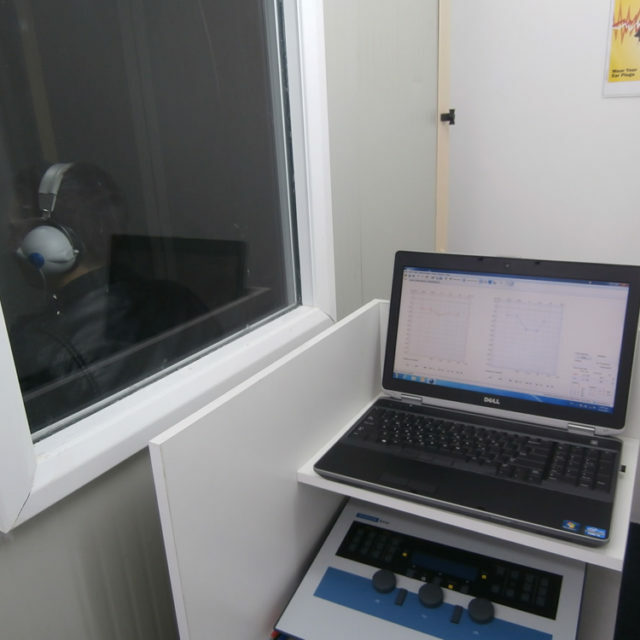 According to the results of these measurements and the noise reduction required, the selection of the appropriate type of ALPHAfon-CB is carried out, always with the assistance of our experienced team.